Hearthstone, as any other card game is based on tactics – if you make mistakes, you loose the game, even the most powerfull deck will not help you. The most common problem for all players, not only for new ones, is the lack of ability to rate their game. Not everyone got a friend who can watch your games and give you his opinion about your game, and help you correct your mistakes. 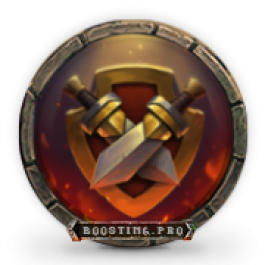 Boosting,pro Team has prepared a great service for you, which will help you increase your level of play. All you need to do is record 5 – 10 of your games, where you made a mistake and lost, and forward it to our managers.Our coaches, players with legend rank who regularly participate in Hearthstone tournaments, will help you to correct your mistakes. What will I get purchasing Hearthstone Mistake correction? After our coach takes a look on your prerecorded gameplay, he will write down the most meaningful mistakes in your game. Also he will prepare a detailed report about your mistakes, where he will tell you how to avoid this mistakes and give you advices to improve your game. Coach will give you some advices on how to improve your deck, if that’s needed. Purchasing additional games with your coach, you will also get answers to any questions about Hearthstone. Required time: Service will be completed within one day. Additional options: Purchasing 10, 20 or 30 additional games with your coach, you will require two to five hours. You can choose suitable time for you, by contacting our manager in Skype: boosting_pro. Prerecorded gameplay in .mp4 or uploaded to one of video services (Twitch, Youtube). This service assume 5 – 10 prerecorded games of Hearthstone. I have questions regarding my order, how can I contact you guys? 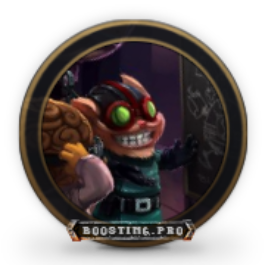 You can get answers to all questions using Live Chat on the website Boosting.pro or skype boosting_pro in the working time (1PM CEST- 1AM CEST). How would I know my order is complete? After your order is finished our system will send you a message on Skype and email. You can also check status of your order by PMing our operator using Live Chat on the website Boosting.pro or skype boosting_pro in the working time (1PM CEST- 1AM CEST). Our certified booster who works for us for several years already will play on your account, so you can be sure your account is super safe. Our team consists only of top-level players who score high-rank legend every season. Can I play other Battle.net games while you boost me on HS? Yes. You can play all other games in your Battle.net client while we boost. My coach told me that I need expansion cards. You will need to purchase expansions in most cases, since this cards will give you advantage over other players. If you have any troubles completing an expansion, you can ask us for help. Who will be my coach? We are cooperating with the best Hearthstone Players, who play on Legend Ranks and are participating in different tournaments. We cannot disclose their nicknames for security reasons. Can I choose coaching time? Of course. When payment is done, contact our manager to schedule your coaching. Our coaches will teach you tricks and nuances of high level playing – from rank 5 and onwards, to Legend, tell you which Heroes and what deck you should use to flawlessly and quickly get Legend rank. You will also get information where and how you can get needed cards, and information about the mistakes you should avoid when playing at high level of Hearthstone. We will help you climb the ladder to any Hearthstone rank you would like, including Legend! With help of our convenient calculator you can order your boost in couple clicks! Our boosters will finish your boost within 1-3 days. Our professionals are one of the strongest players in Europe and NA and they will help you determine your real skill level. With our coaching service in LoL you can improve yourself to become a better player in shortest terms. Each player makes mistakes, but we guarantee that our coaching will make a lot less mistakes! 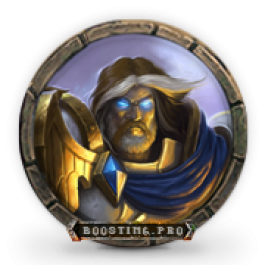 We will help you receive your desired golden portrait for Hearthstone Hero – as everyone who has played Ranked in Hearthstone can admit that getting 500 wins is a very tedious and long task, and sometimes it’s hard as well. Our specialists will get this achievement for you to enjoy playing with a prestigious hero portrait.